Description: Smith & Wesson Model 469 9 m/m #A871468 This alloy frame SA/DA pistol retains 98 – 99% of its sandblast blue finish. 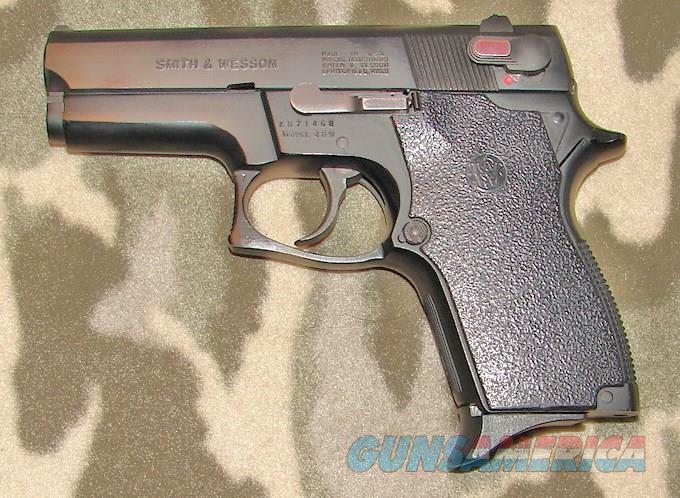 The molded Derelin black grips with Smith & Wesson monograms are also in excellent condition. Referred to as the “ 469 MINI” this lightly used pistol would make a great carry gun. Included is one finger extension 10 round magazine (the firearm is designed for 12 rounds). There is no box or papers.